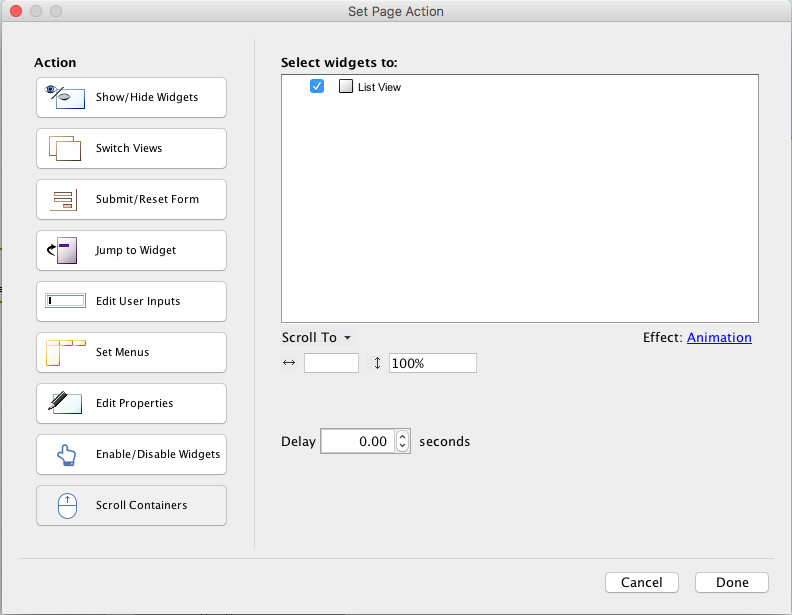 [Studio only] This action allows you to scroll any Section container on the screen. You can scroll to or by any pixel or percentage value. This action will be added to Editor soon.